God raised the Lord and will also raise us up by his power. 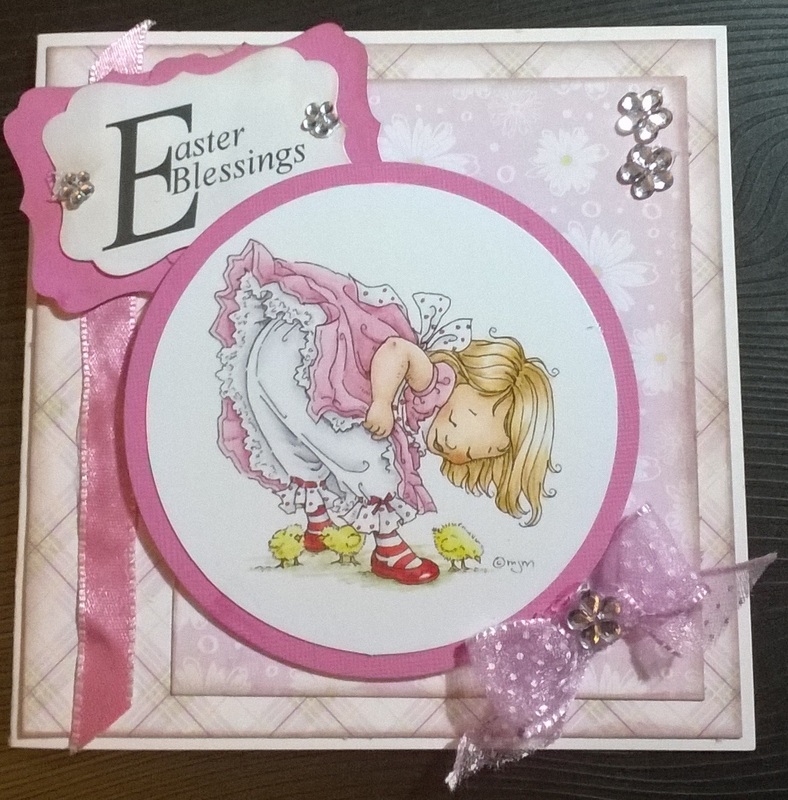 Here is a sweet card for Easter, made mainly using bits from The Hobby House. The topper uses a Mo Manning image. 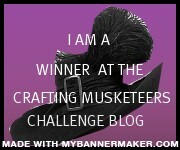 Come back later in the week for details of a new Creative fingers challenge. 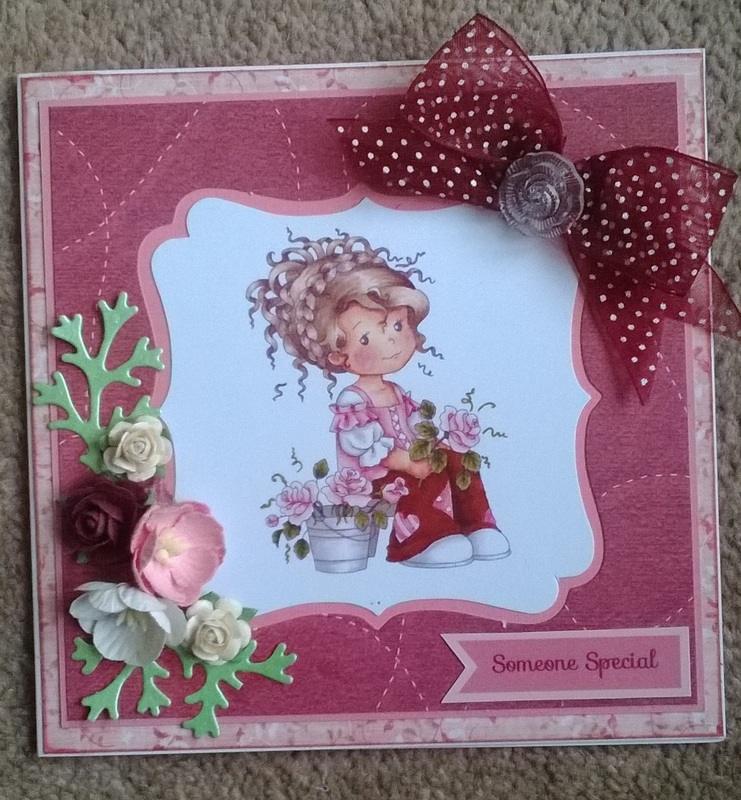 This is a card made using a Hobby House kit. I bought this last year and have recently used the last three toppers. I still have plenty of bling, ribbon and backing card left from the kit and can thoroughly recommend The Hobby House for value. The topper features a Mo Manning image and apart from the card base, everything you see came in the kit. I have edged the card with Tim Holtz Barn Door distress ink. I thank and praise you, O God of my fathers: You have given me wisdom and power, you have made known to me what we asked of you, you have made known to us the dream of the king. This is a lovely Wee Stamps image. 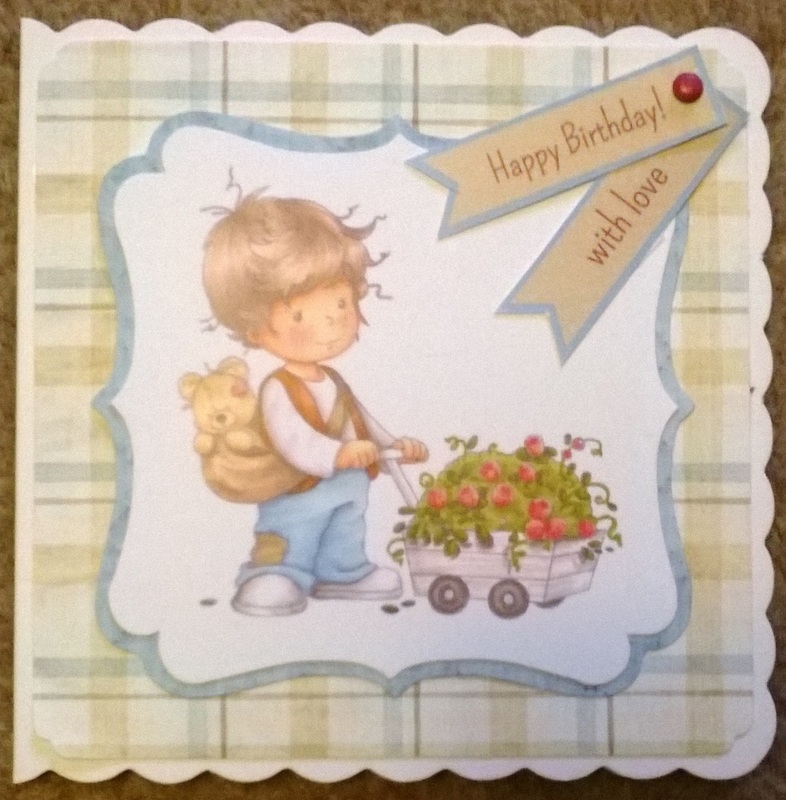 The card is made with a Hobby House card kit, the only part that was not in the kit is the little heart-shaped button. 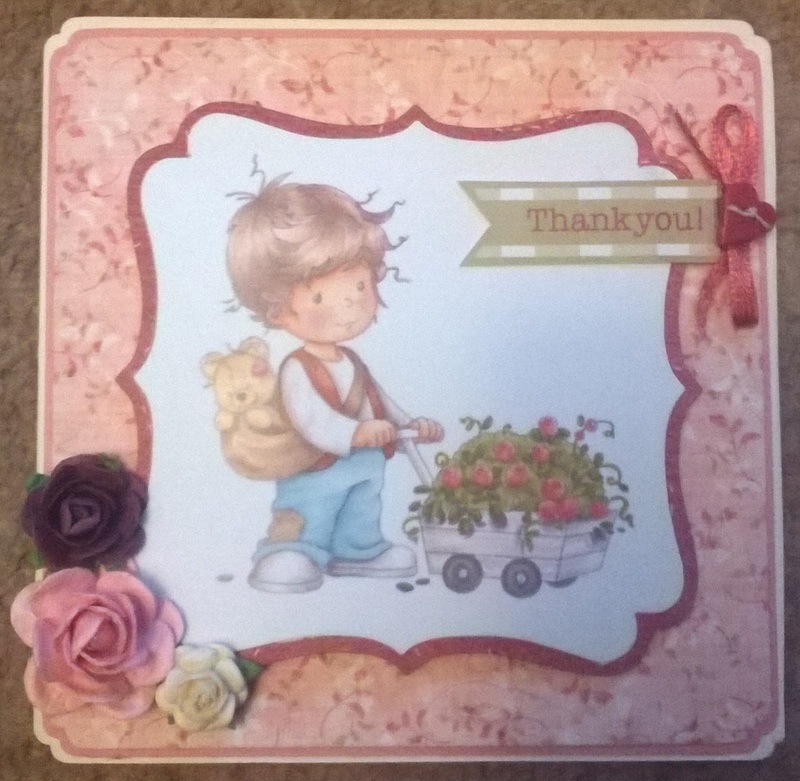 This will be an ideal thank you card for Granny after one of my son’s birthday. With it you shall make incense, a perfume, the work of a perfumer, salted, pure, and holy. Here is a pretty card today in blues but for a girl. 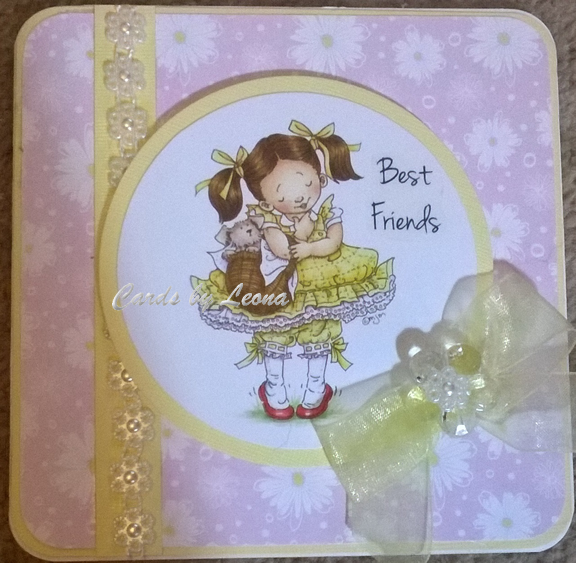 The image is from Wee stamps and the papers by Nitwits. Everything you see, apart from the blue gems came in a kit fron The Hobby House. I just love their kit as they are not too bib and are very usable. 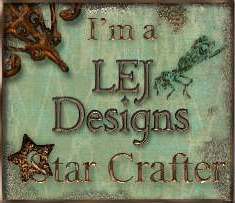 This is a card made with a kit from The Hobby House. The image is from Wee Stamps and the papers are from Nitwits. The paper flowers and ribbon came in the kit too – the only thing I added was the green foliage cut with a Spellbinders die. Do all things without complaining and disputing, that you may become blameless and harmless, children of God without fault in the midst of a crooked and perverse generation, among whom you shine as lights in the world, holding fast the word of life, so that I may rejoice in the day of Christ that I have not run in vain or labored in vain. 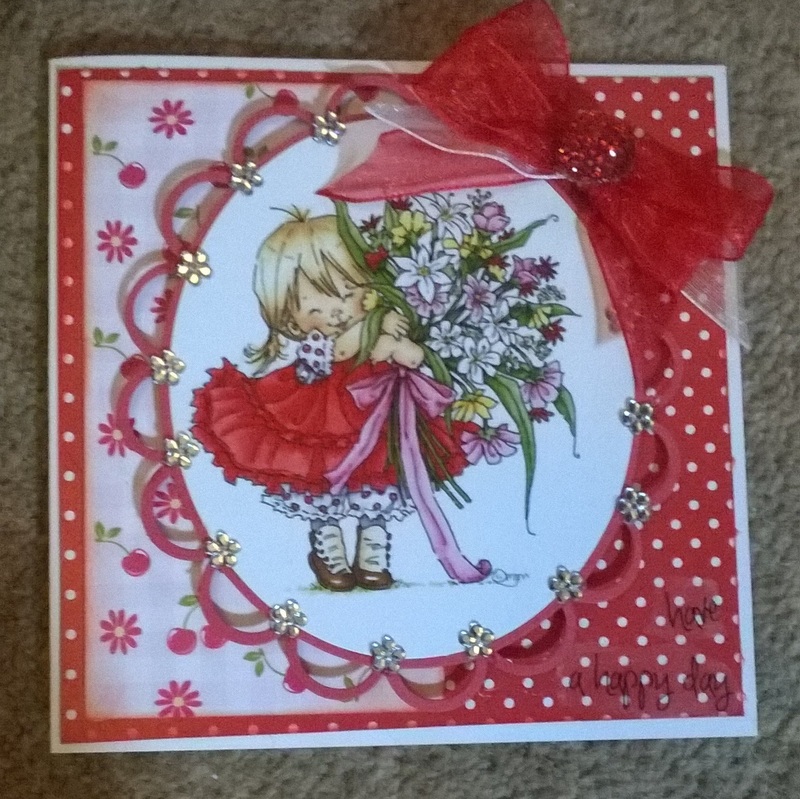 Today’s card ismade with a Wee stmpsimage and NitWits backing card with the corners punched. Sometimes we need cards that are definitely not for girls!